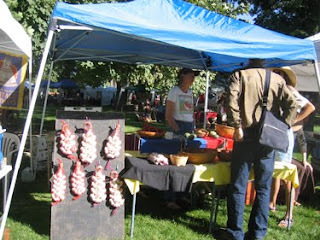 Sunday AM down to the Town Park for the Mountain Harvest Festival Farmers’ Market. Ray came to help at the booth and took care of it so I could take a break occasionally. 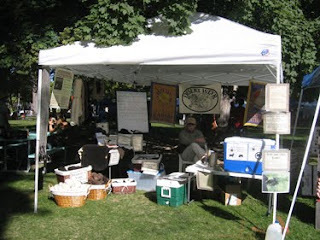 Monica from Small Potatoes Farm selling potatoes and garlic braids. A good day, lots of sales of meat, socks and even some yarn.